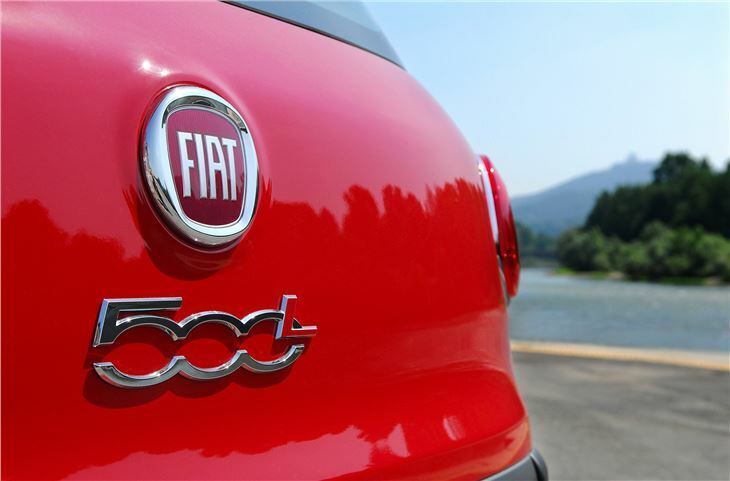 Fiat is good at small cars. Very good in fact. It's been doing it for years and built up a reputation for making them with flair. 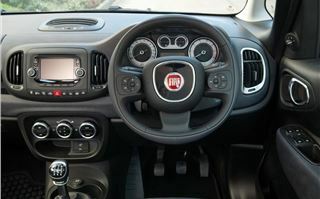 The Punto has been Fiat's long-running success story in recent history, while in the past few years it's been the Panda and 500 which have been flying out of the showrooms. But when it comes to comes to those that are a bigger, it doesn't matter how good or bad they are, they just don't capture buyers' imaginations. The Bravo has been largely invisible since it launched in 2007, the Sedici has hardly set the world alight and even Fiat would rather forget the short-lived Croma. So, they've come up with a brilliant wheeze – why not make everything a small car? Or, at least sound like it is. 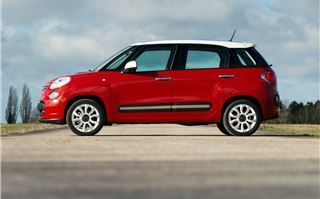 The first of these is this, the 500L. It takes styling cues from the dinky 500 hatch, but underneath is a fundamentally different car and built in a different factory. 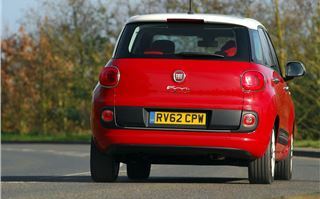 Fiat want you to think of it as a filled-out five-door family version of the 500, which it does an admirable job of. But you have to wonder what part marketing has played – would it be as eagerly-awaited if it was differently styled and called something else? But it's not and the result is a charming family-size car that's more distinctive than many of the me-too mini MPVs out there. Size-wise it's a bit of an inbetweener. 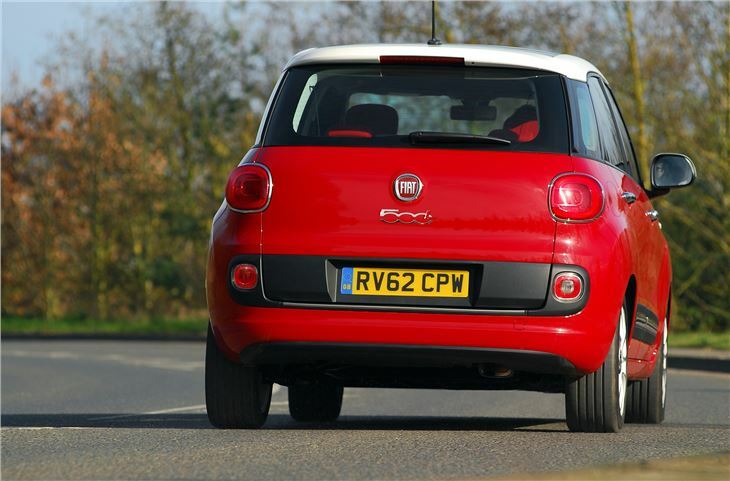 At almost 4.2 metres long it's significantly larger than the 500, but not as long as the Punto. 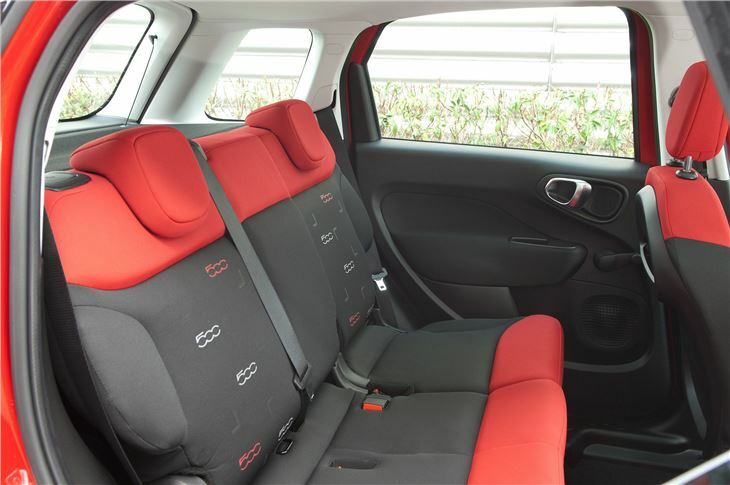 It seats five in some comfort and feels very roomy – especially so when there's a panoramic glass roof fitted, though this is a £500 option on Pop Star and Easy. Even standard cars have a large glazed areas and a split windscreen pillar that help to contribute to a light and airy feeling. The driving position is good, the seat highly adjustable and all that glass means excellent all-round visibility. 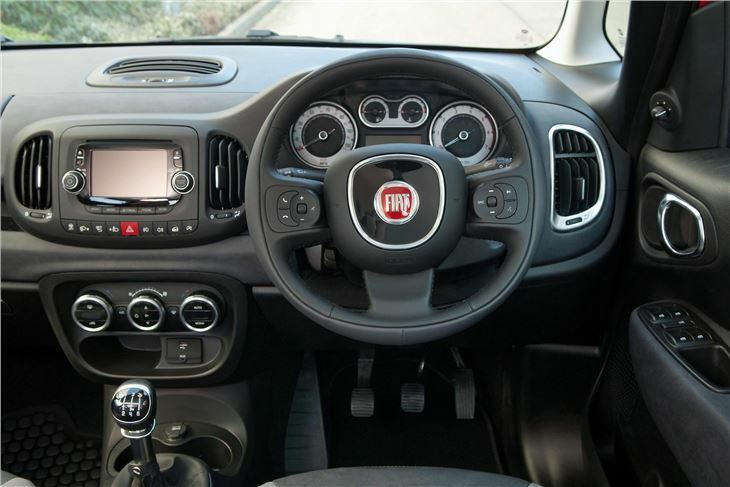 The rotary controls on the dash that control the heating are easy to use on the move and the large touch-screen sat nav/infotainment system is clear and well placed – there's no need to take your eyes off the road to view it. 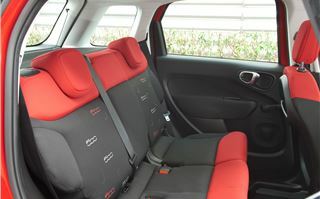 Inside it's clean and functional, with the emphasis on making this family-proof, rather than cutesy like the 500. 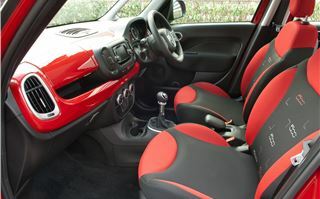 That means that the interior is much more like the Panda with harder-wearing plastics, though in this case colour is added with bright inserts. 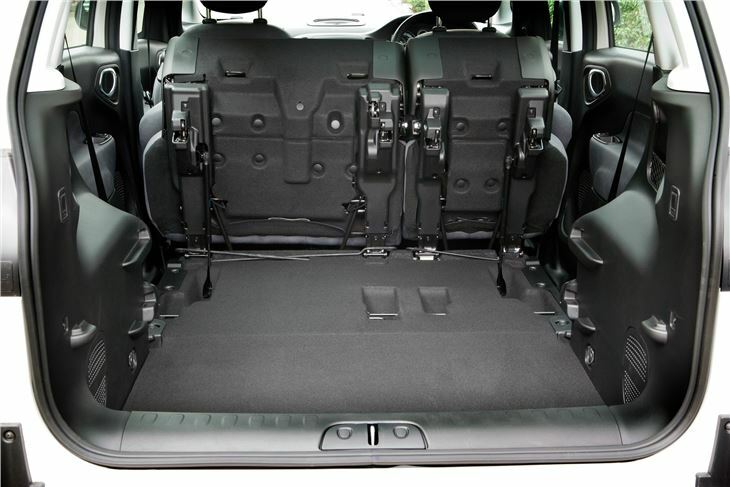 There's plenty of flexibility in the rear, where it's possible to slide the seats for extra legroom (or bootspace) or fold them forward to create a bigger cargo area. 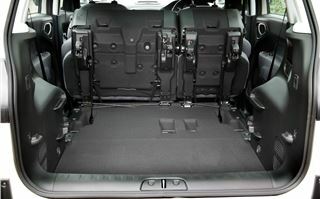 Standard boot space is 343 litres, but fold and tumble the seats and there's 1310 litres on offer. As you'd expect there are plenty of storage bins dotted around the cabin too. Four engines are on offer. A 0.9-litre TwinAir petrol with 105bhp, a 1.4-litre petrol with 95bhp plus two diesels, the 1.3-litre MultiJet that develops 85bhp and larger 1.6-litre MultiJet with 105bhp. 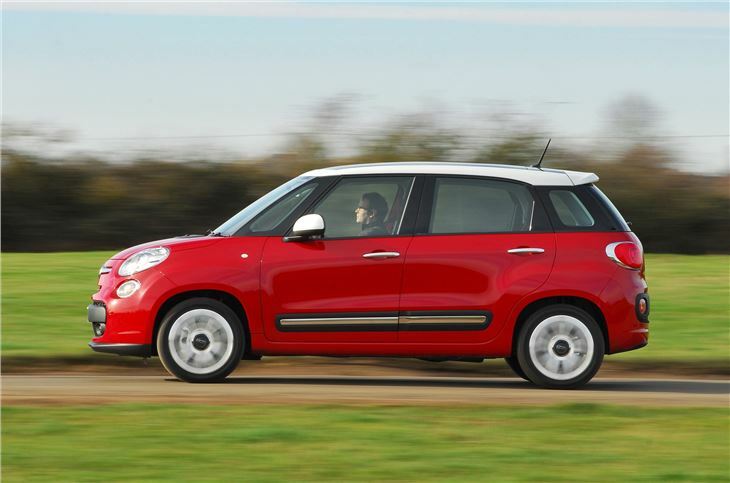 When fitted with the top 1.6 MultiJet, the 500L gets from 0-62mph in 11.3 seconds and has a top speed of 112mph. In reality, it feels much quicker out of the blocks and pulls sweetly between 1750rpm and 2500rpm. 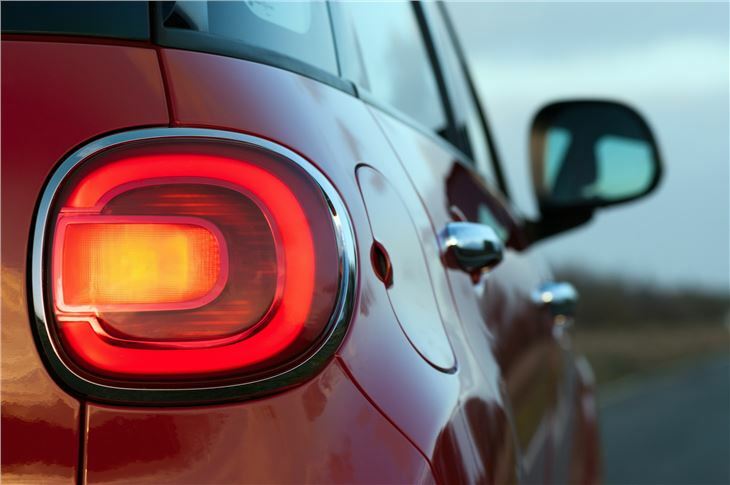 It's no slouch when it comes to overtaking either, though under heavy acceleration its refinement can let it down. 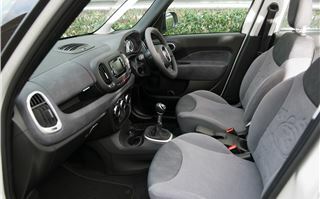 Elsewhere it's a different story and while there's still noticeable wind and road noise, it's not intrusive and the 500L cruises well. 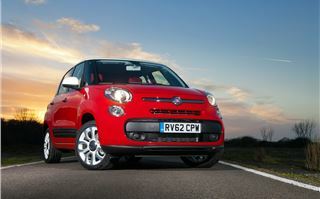 Many buyers will be tempted by the petrol-powered 500L TwinAir. And with good reason: it's £1000 cheaper than equivalent 1.6-litre MultiJet models and offers better official fuel consumption and emissions. That means it falls into Road Tax Band B (first year free, £20 thereafter), but the 58.9mpg figure should be taken with a pinch of salt if the 500L follows the same pattern as the 500. TwinAir 500s achieve just 70 per cent of the official economy figure according to submissions to Real MPG. Out on the road, the 500L handles rather tidily for a car of this size. The ride is well controlled (better in fact than the standard 500) and it does an admirable job of soaking up lumps and bumps, while still retaining composure when pushed through corners. 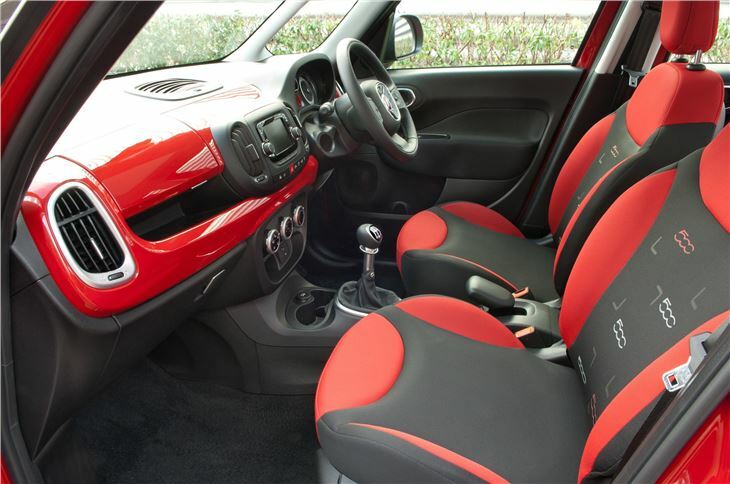 The steering is light which, although welcome when parking, can feel rather artificial at higher speeds. 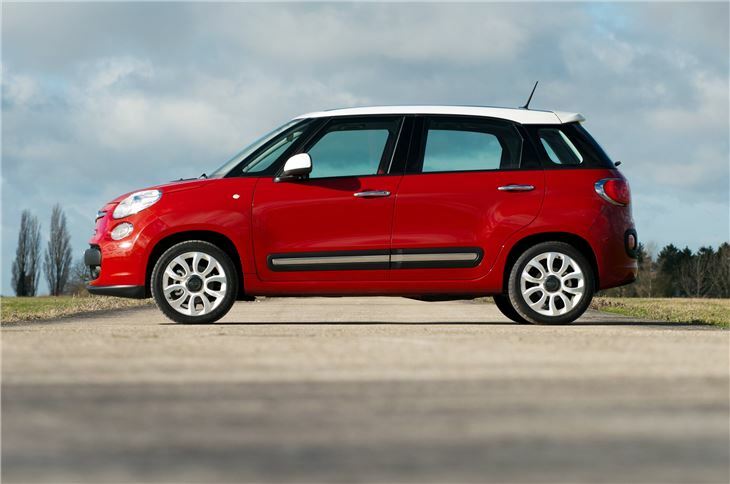 There's no doubt that the 500L fills a gap in Fiat's line-up and gives buyers something that they've been crying out for: a Fiat 500 that's fit for family life. 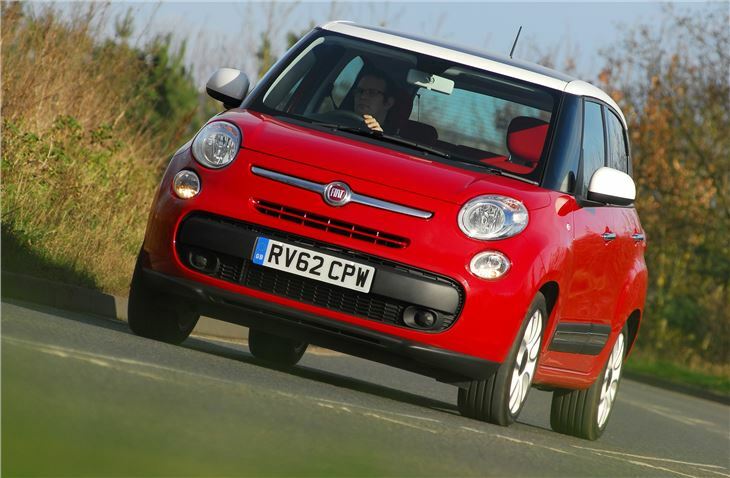 With prices starting at £14,990, it may look pricey up against the likes of the Citroen C3 Picasso, but ultimately the 500L offers the kind of cachet that Citroen can't match. If you're willing to pay a bit extra for the Fiat 500 feel-good factor, then this is the car for you. 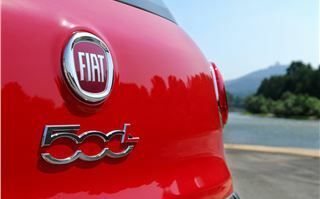 You can expect to see the 500 'brand' stretched in a number of directions in the coming years. Next up is a 500X, an SUV-style version in the same vein as the MINI Countryman, while a seven-seater 500XL is due on sale by the middle of next year.